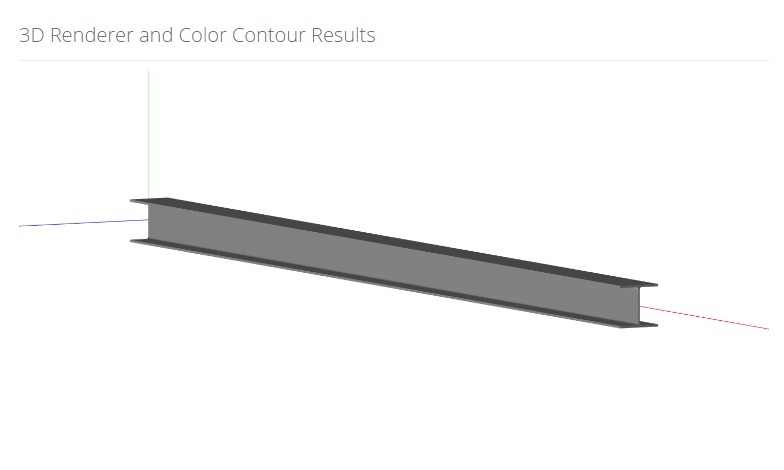 The 3D renderer allows you to visualize your beam in 3D. 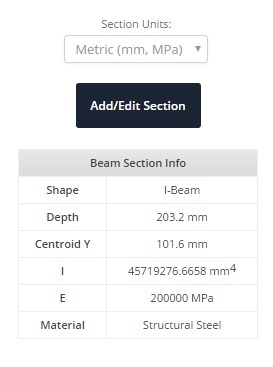 Note that the cross section can be seen to scale to the length of your beam. You can left click to rotation, right click to pan, and toggle between orthogonal and perspective camera views. or only Young’s Modulus (E) and Moment of Inertia (Ix) values were directly inputted in the ‘Add/Edit Section’ pop up. To fix this, simply go back to your model by clicking ‘Beam Setup’ at the top bar. Click the ‘Add/Edit Section’ button to make changes to your section (or add one for the first time). In the example below, only Ix and E values were inputted. In the pop up, click the ‘Use Section Builder’ button. This will take you to the Section Builder software. 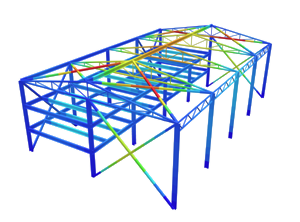 In this example, we’ll select the default I-beam from the Templates. There are various sections which can be added which is explored in Section Builder’s own section. 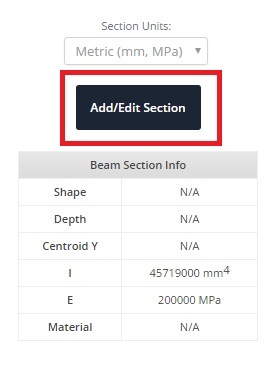 Select I-beam, click ‘Add’, and finally click ‘Submit’. You’ll notice that the section properties are filled in the table. Solve your model again by clicking ‘Solve’. 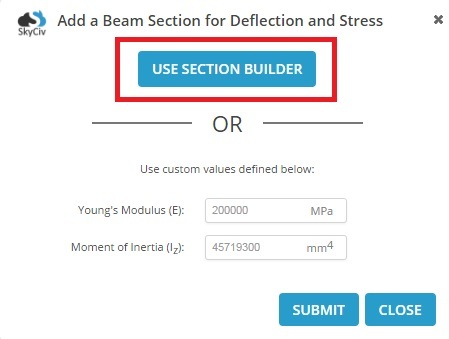 You should notice the 3D render of your beam, as well as deflection and stress results (if no section was added at all).